V belt, Energy-Saving, "Power Ace"
This review is about item#39904094. I tried purchasing believing in strength because the V belt will run out frequently. Though it is close to 3 times the value of cheap one, it is about 1 mm thinner than it, I think that it is strong for reverse bending by the clutch pulley. Should it be cut in the middle while using 3 times as much as 3 times as long as it would last longer ... It is unknown about durability, but it is now smooth. This review is about item#39903796. Since the belt of the snowplow machine is heavily loaded, it breaks soon if it is not used for agriculture. It is durable. This review is about item#39903735. I am pleased that I purchased a sense of trust in quality and a sense of stability during driving. This review is about item#39903762. 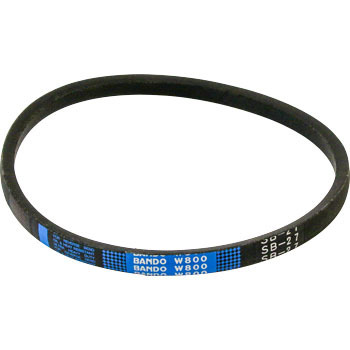 Other V belt will wear out quickly, but it is very resistant to heat and lasts longer. It is thin, strong against bending load, satisfactory for durability, I would like to use it in the future. This review is about item#39903683. I think that I used to buy this time because cracks occurred so far, I think that it will be active from the beginning in September, the installed situation is perfect and no problem We expect long-lasting. This review is about item#39904085. This review is about item#39904024. Because the price is also cheap, I can use it by raising the rank of one rank from genuine, I think that it will be necessary this year as well. This time, I purchased a size difference hastily, but I was glad that I could use it for other farm equipment. There is no particular problem in the goods. This review is about item#39903981.